“The desert is the place where you can hear the voice of God and the voice of the tempter. In noise, in confusion this cannot be done; only superficial voices are felt. In the desert, on the other hand, we can do it in depth, where our destiny, life or death, is really at stake.” (Pope Francis), was the provocation made to all present to feel the need for conversion; the need to enter fully into the desert, overcome temptations through prayer, as Christ did, and thus meet God. 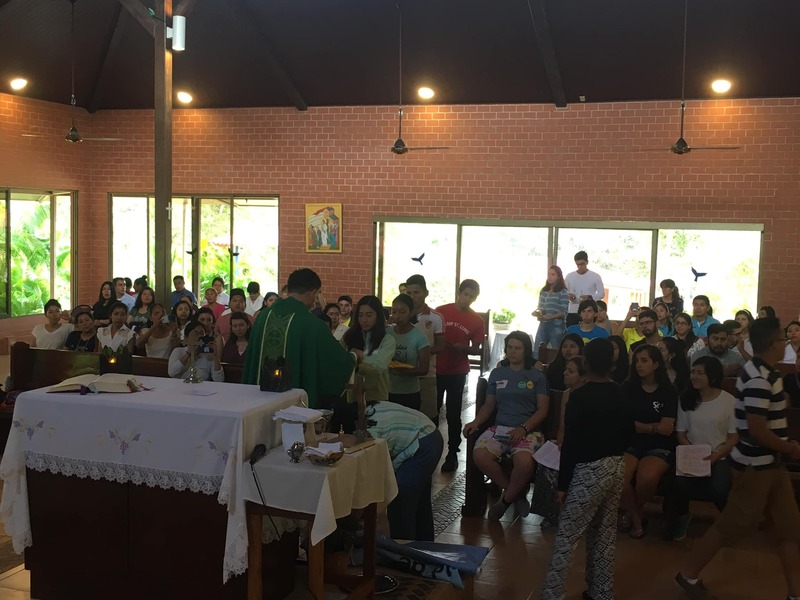 On the occasion of Lent, on Sunday 17 March, the Identes missionaries held a Motus Christi open to people of all ages in the retreat house of the Franciscan sisters one hour from Bogota. 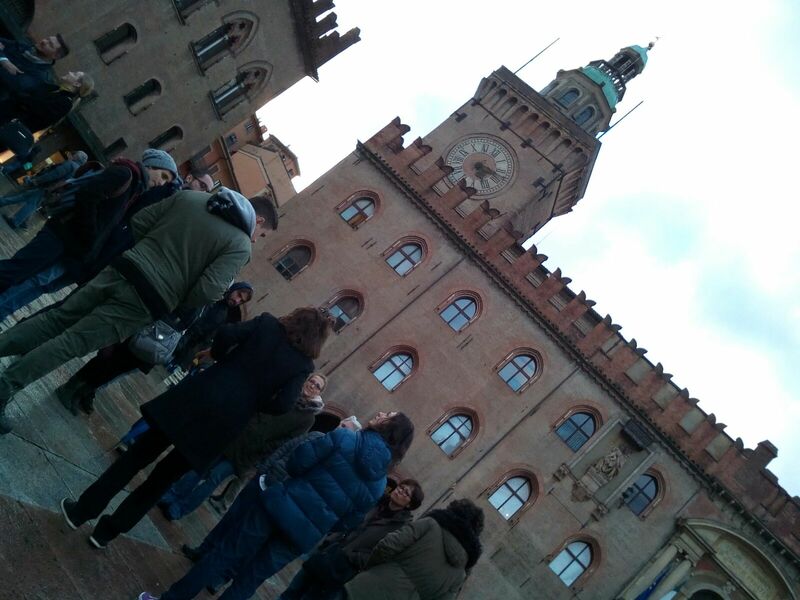 It was very nice to see together several generations: older people, young people, teenagers and children, who with their witticisms made us have a healthy envy of that innocence that brings them closer to the Father. 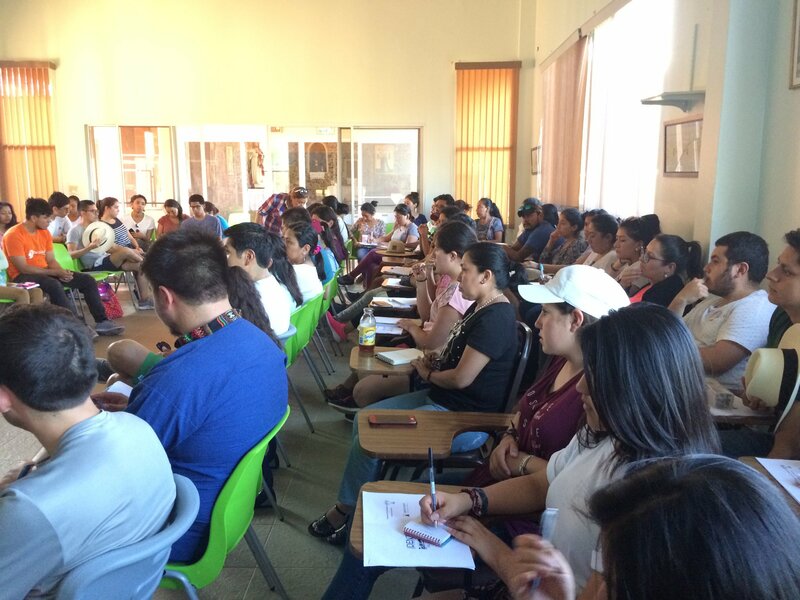 About 45 people belonging to the parish of Our Lady of the Pillar and to other realities attended. 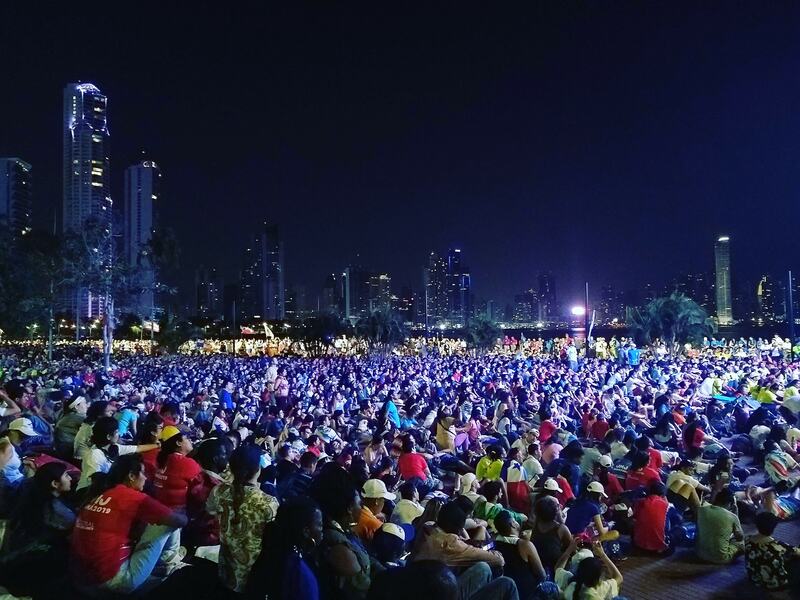 There were intimate moments of sharing, joy and prayer in which the movement of Christ was noticed in each one of the people who attended expressing that they wanted to make life what they had received. “If one has truly experienced the love of God that saves him, he does not need much time of preparation to go out to announce it, he cannot wait to be given many courses or long instructions. 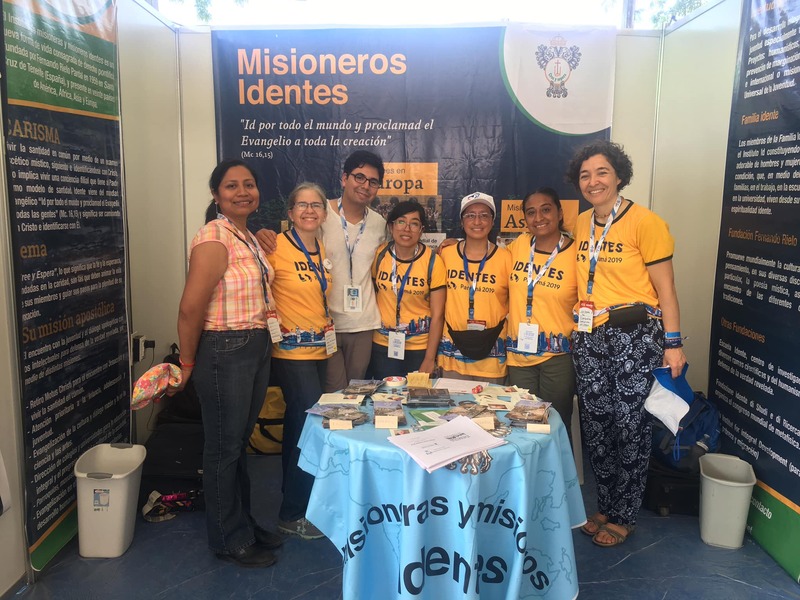 Every Christian is a missionary to the extent that he has encountered the love of God in Christ Jesus; We no longer say that we are “disciples” and “missionaries”, but that we are always “missionary disciples”” (Pope Francis, Evangelii gaudium, 120). 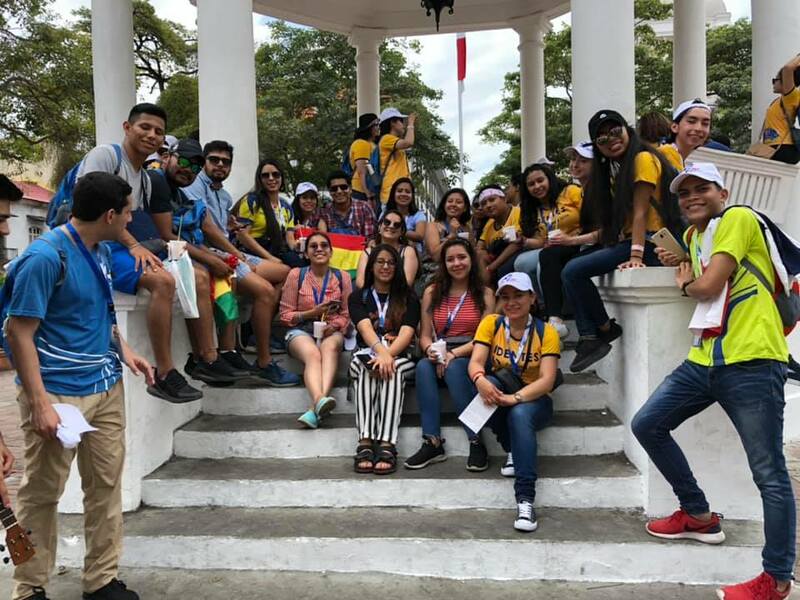 From the 22nd to the 24th of February of this year a Motus Christi was held in Loja-Ecuador with the participation of 21 young university students from different careers in Loja and Cuenca. 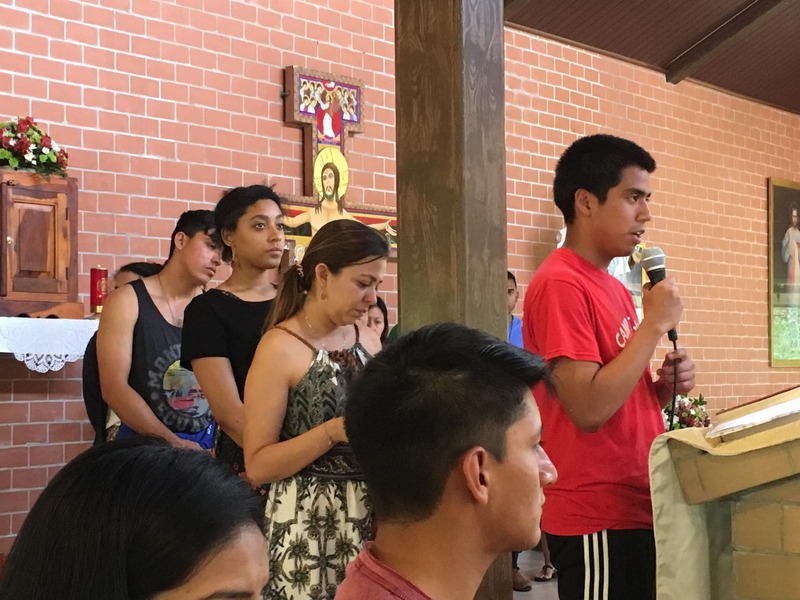 From the first moment the young people felt a desire to live a personal encounter with Christ in a spirit of silence, recollection, prayer and joy. These days have allowed each one to feel touched by the unconditional love of Christ, that we are all called to a fulfilled life of holiness, and that this commits us to offer our time, our creativity, our talents, to help other young people to live this encounter. 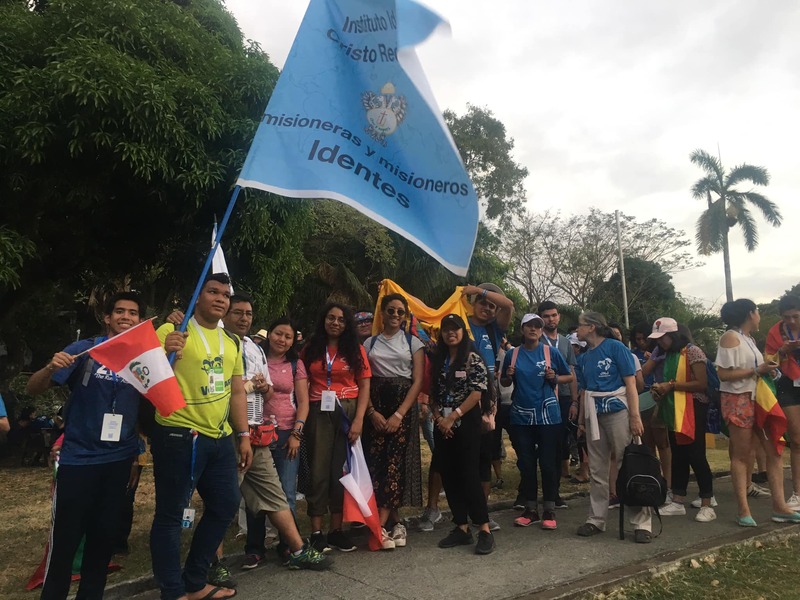 All have manifested their desire to continue this journey of conversion from the living of the Gospel, in order to be able to respond to the call that Christ has made to them. 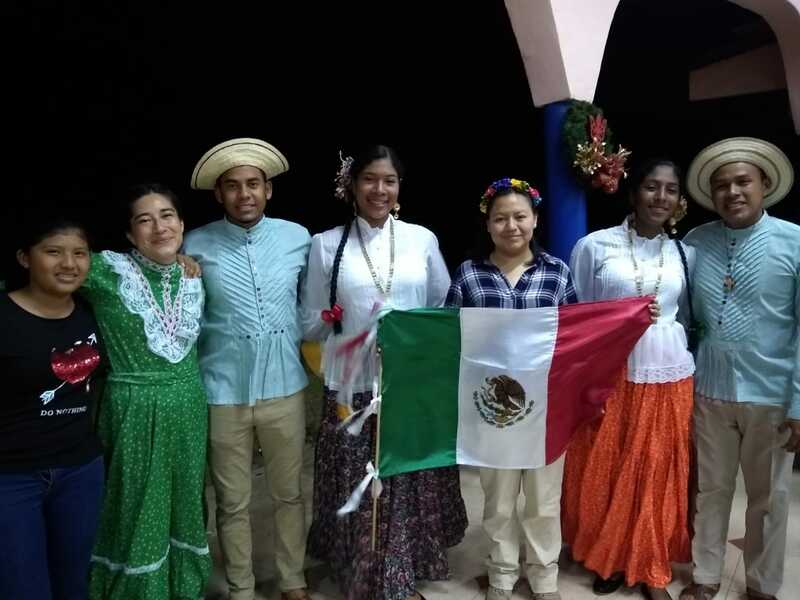 They have been days of grace and spiritual renewal for the young people as well as for the idente missionaries who attended. 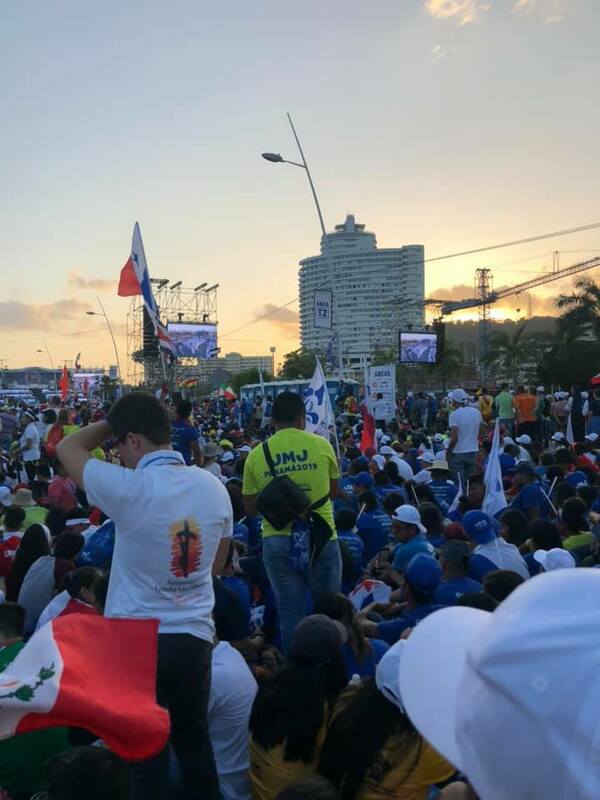 Mary has been the great protagonist of this beautiful adventure of the Motus Christi and the WYD of Panama, which had as its motto “Behold the handmaid of the Lord, let it be done to me according to your word”. 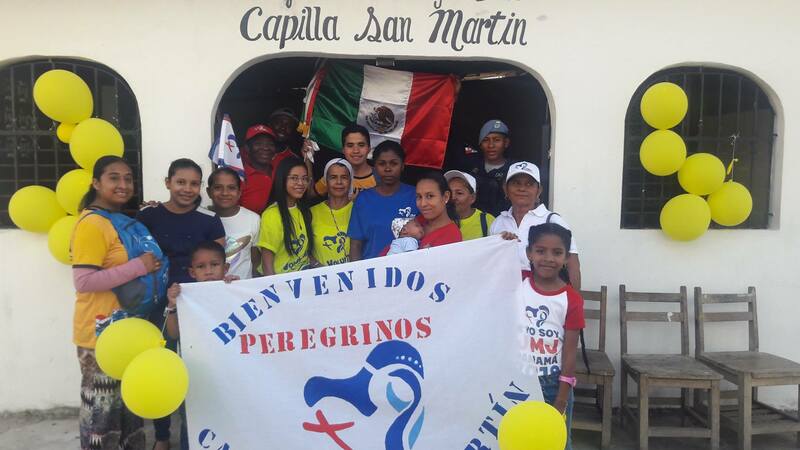 The village of Mary is called the retreat house of Capira, 75 km to the west, where we celebrate the Motus Christi, and the “let it be done to me according to your word” centered the catechesis and the words of the Holy Father during the whole WYD, besides singing it to satiety in the beautiful hymn of this 34th World Youth Day. 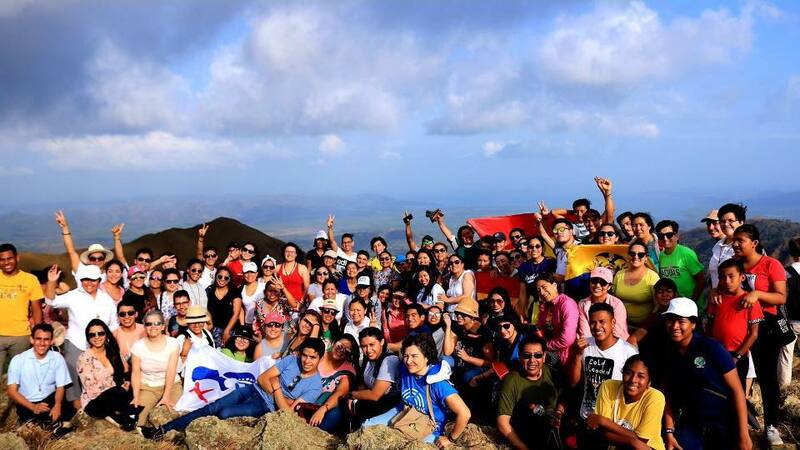 The miracle of bringing a large group of young people, dreamt of by our president, Fr. Jesús Fernández, and by our superiors general, Fr. Luis Casasús and María del Carmen García, took place. 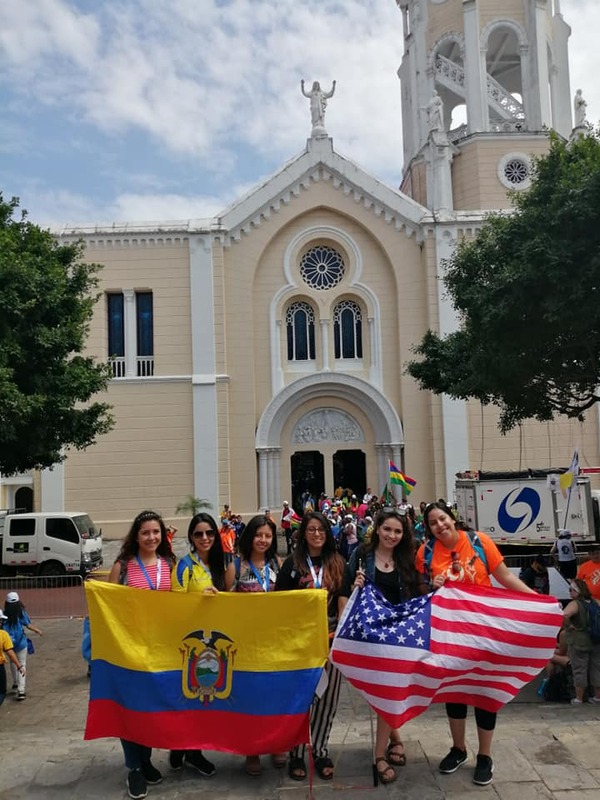 There were 75 young people from Bolivia, Colombia, Ecuador, the United States, France and Mexico, accompanied by eleven women and men missionaries. 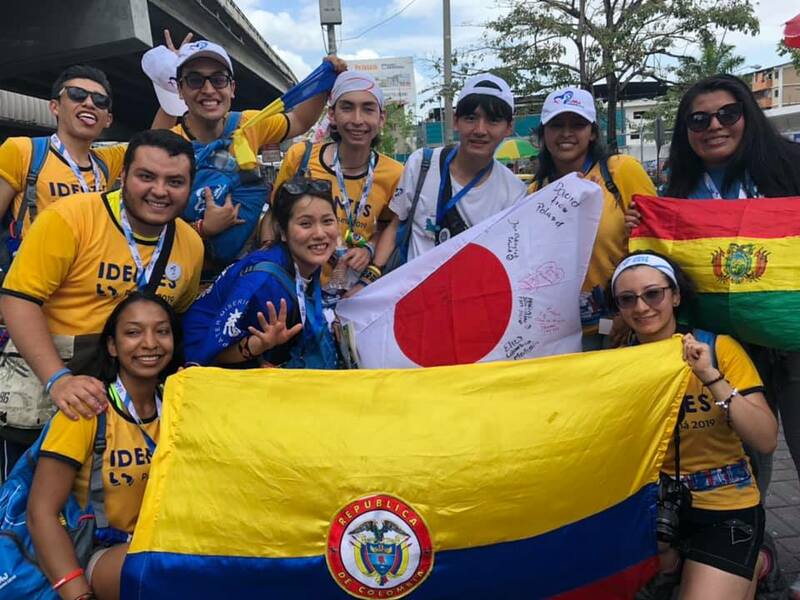 The international Motus took place in the town of Capira, 75 km (about two hours by bus) east of Panama City, with the arrival of all the groups on the evening of January 16. 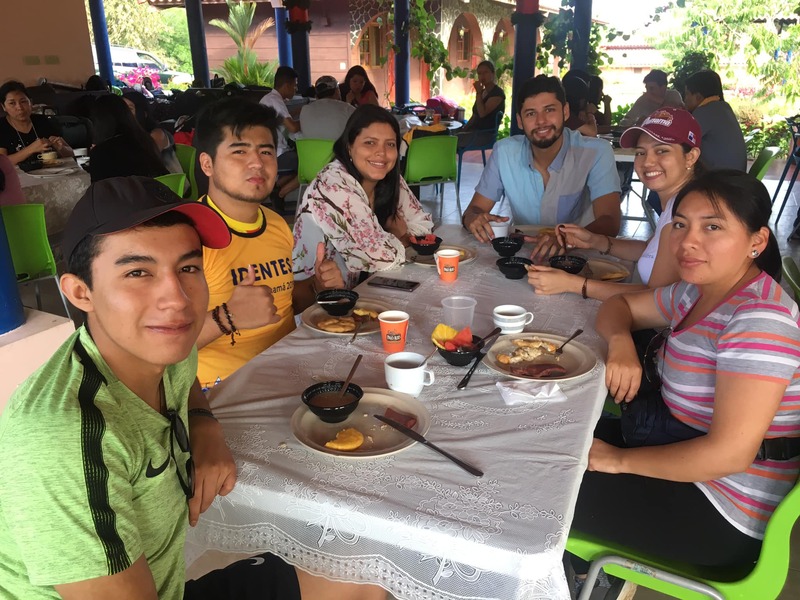 Already from the joyful meeting at the airport of Tocumen one could perceive the beautiful family atmosphere that we would live from the first day at the Motus. 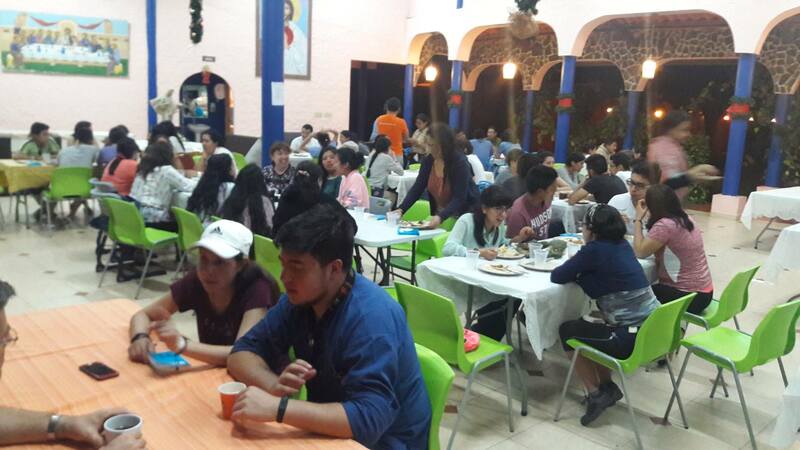 Not only was the house of the Magnificat community a place of recollection and silence, but the very structure and spirit of the Motus introduced all the young people in that environment, even the most unaccustomed to it. They discovered with surprise that holiness is possible and that living it in community is the most beautiful and fruitful way. In this sense, the testimonies of several brothers and sisters, professed and probantes, were moments of great emotion for the young people when they saw how there is no prototype of saint, nor ideal circumstances, but Christ calls us all in the most unsuspected situations. It has been a moment of grace, of much grace, which has touched everyone. Five days that seemed to us like a little bit of eternal life, of heaven in this world. 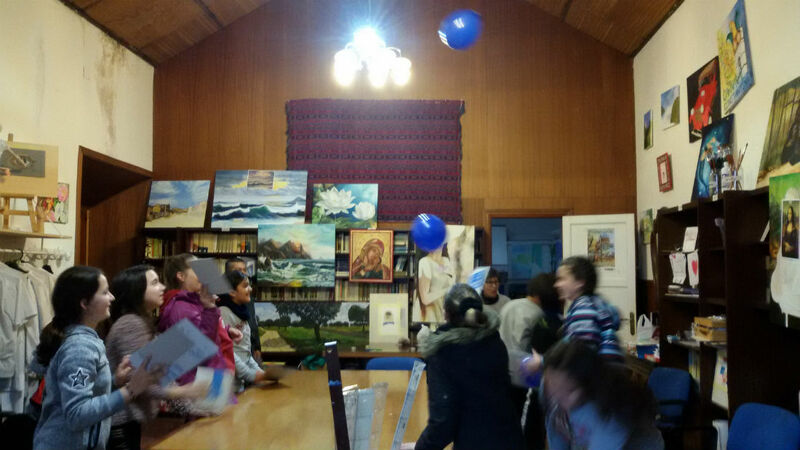 In their different moments: talks, personal prayer, communities, meals, the athenaeum, we breathed an atmosphere of communion and service that invited us to fly much higher and to feel the presence of God in each one of us. 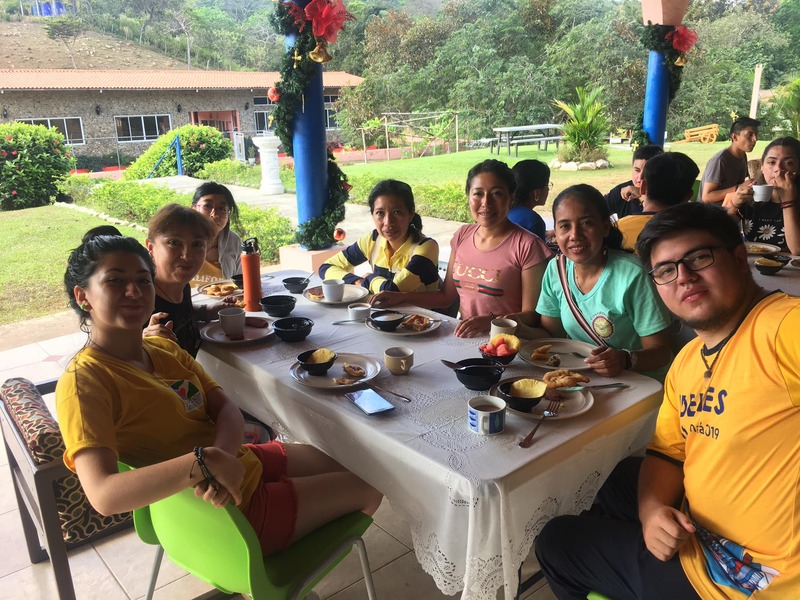 This atmosphere of family and fraternal life has surprised them so much, that it has helped even the most reserved, to open up and to look for us brothers and sisters to talk about their life, their dreams and their love for Christ. The charismatic touch, where many expressed their decision to follow Christ with all the consequences, was a beautiful finishing touch. 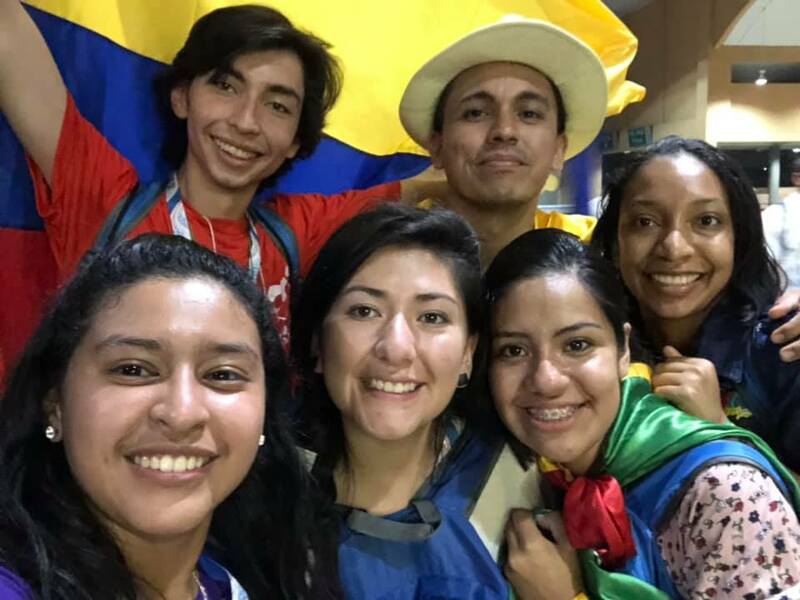 As an example, one of the young people said something that illustrates the common feeling of the participants: “Before coming to WYD I had certain projects, ideas, intentions of how to pass this experience, but now, after having lived these days of the Motus, I think that the trip was worthwhile only for the Motus. 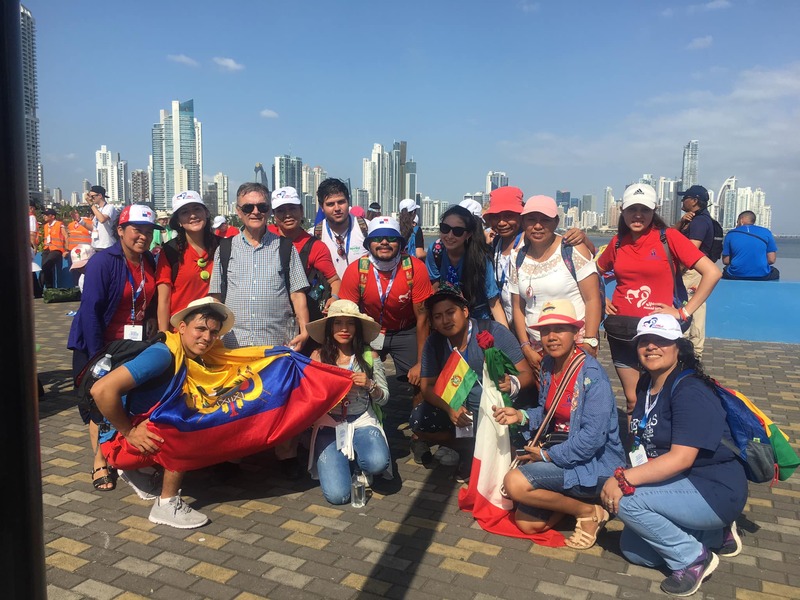 With a certain sadness for leaving the place and for finishing such an intense experience, on Monday the 21st in the morning we left for the city of Panama, since the following day the WYD was already beginning. 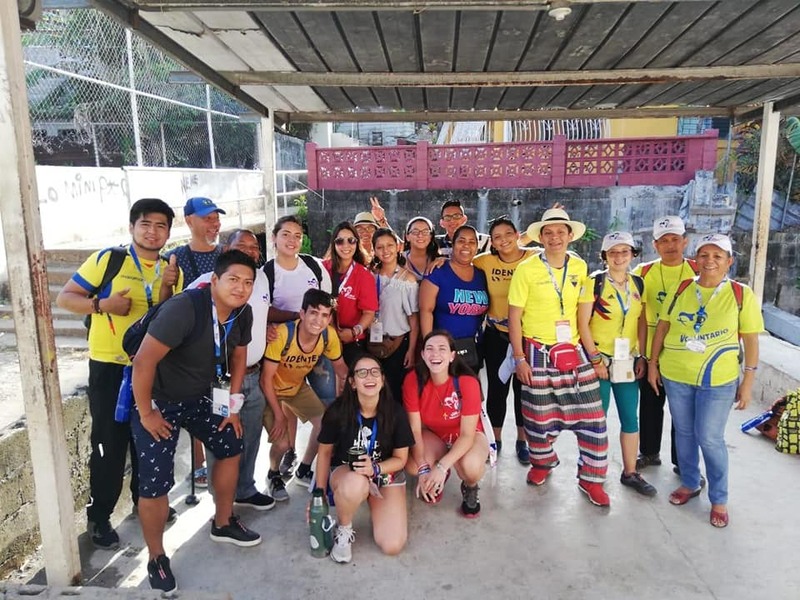 The WYD organization had recently informed us that our group would be housed in the Parish of Christ the Son of God, in the neighborhood of Samaria, where each pilgrim would be living in a family. 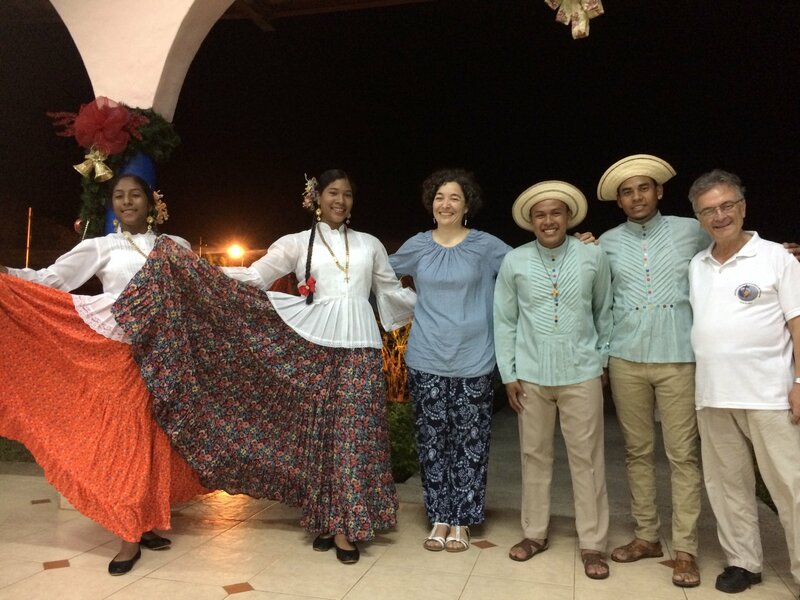 Although at the beginning we thought it would have been better to have the whole group together, housed in a school or in the halls of the parish, we soon realized that living with families was a beautiful opportunity to get to know the Panamanian people from within, and to understand their profound religiosity and their spontaneous kindness and joy. 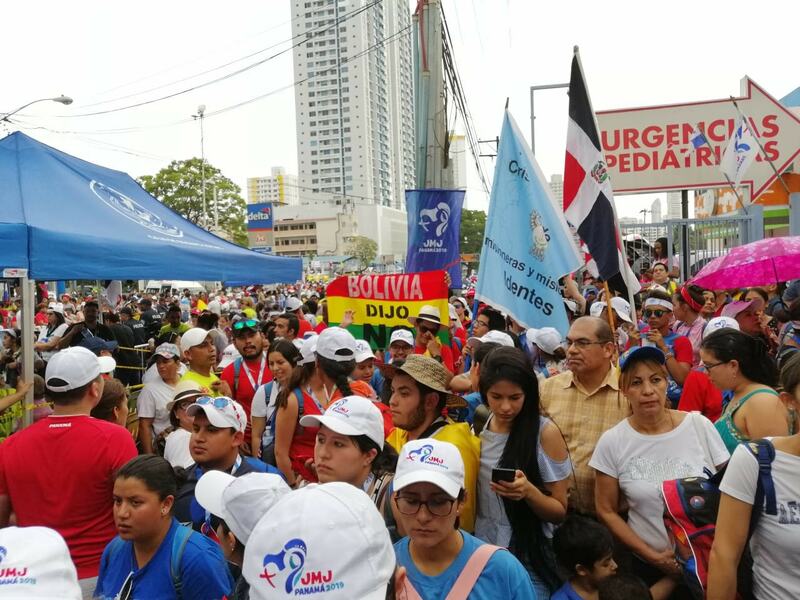 On the other hand, Providence wanted us to be in a neighborhood, Samaria, with many needs and deficiencies, to know not only the tourist side of the city, but the reality in which many Panamanians live. 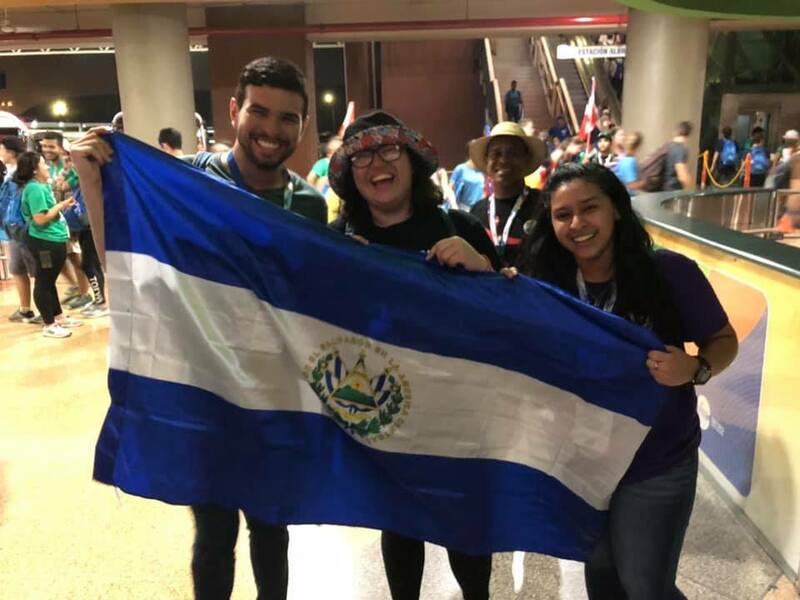 The poverty, the lack of health in the streets and in the houses, and the marginalization were evident, but it was compensated by the great joy and affection with which each family welcomed us. They gave us what they did not have, in the purest evangelical style. 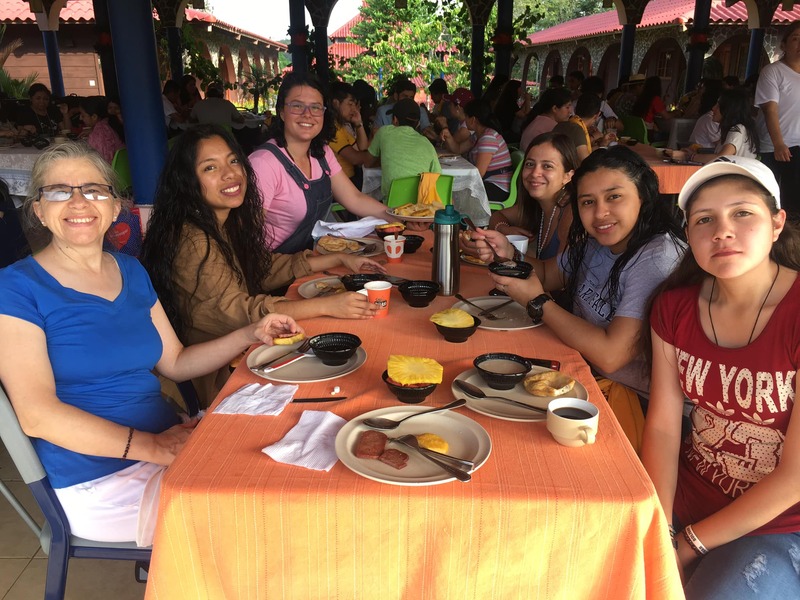 We could not be less: we decided to assume these circumstances as a moment of mission, and to share with our adoptive families all the richness received in the Motus. The fruits were not long in coming. 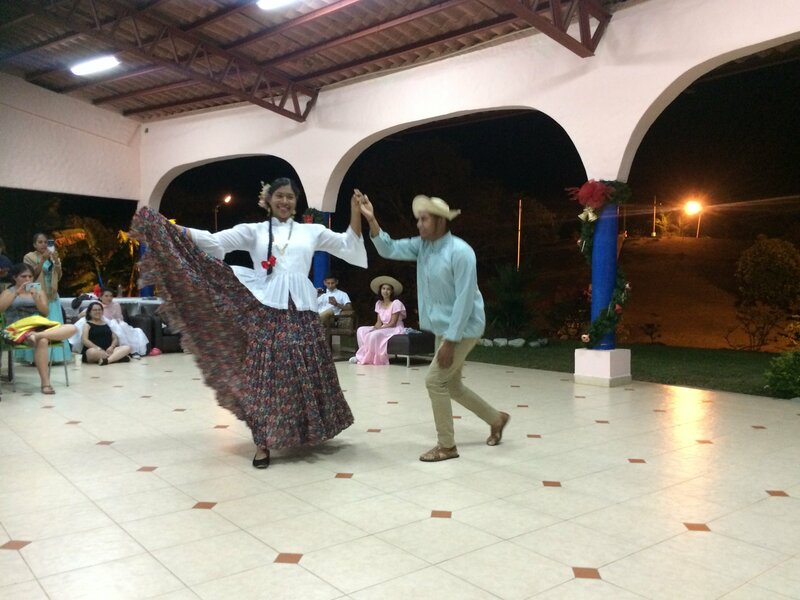 The generosity and faith of the Panamanians made us feel like one more of their families, creating strong bonds that we all yearn to remain. And all this in spite of the fact that we spent most of the day outside and the moments of living together were limited to nights and mornings at breakfast. 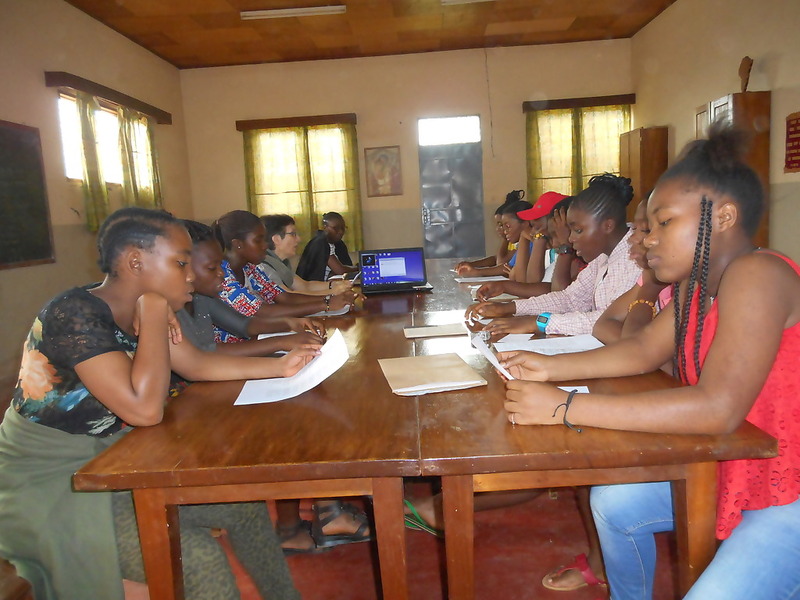 One of the young participants said that for him it had been a formative experience, because he had seen the kindness and attention of the host families and because he had learned to value more what he had, to be more helpful and more attentive to the needs of those at home. 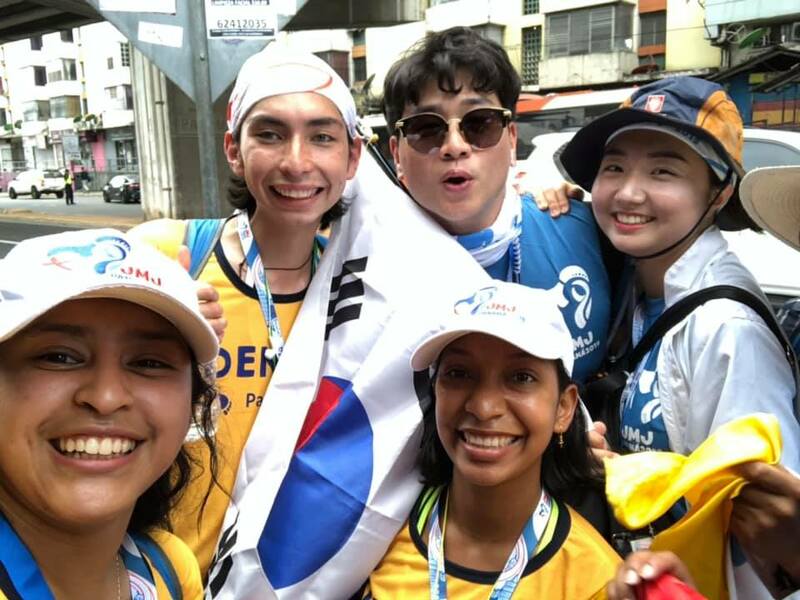 We were truly pilgrims within the city, living everything with supernatural joy, like the rest of the thousands of young people who were there. It was also surprising how Pope Francis, in his demanding and tender words to the young people, said several things that had somehow appeared in the Motus: overcoming comfort and conformism; living the unconditional love of the Father; living the now of God and not the meantime; and walking after Christ without stopping, risking everything like Mary. 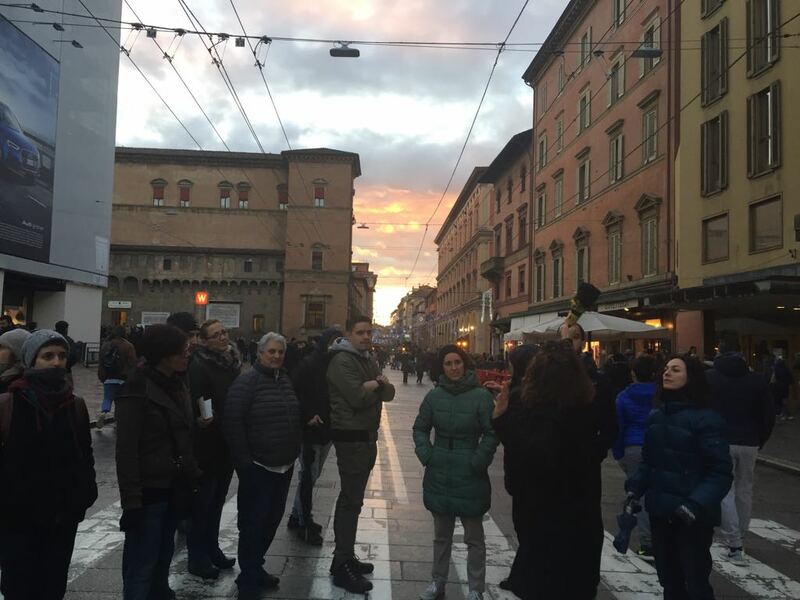 After the Mass celebrated by the Pope on Sunday 28th, the afternoon was left free so that each one could share with the family that welcomed him, and also this time was very beautiful for everyone. Contemplating now this strong human and spiritual experience, it is evident that the participation in WYD was certainly not to ‘see the Pope’, as a spectacle, which we would surely have seen better from the television at home, but to live together with Peter, the Vicar of Christ, a pilgrimage to Christ, with Mary, to live this great Pentecost together with the whole universal church, gathered around its pastor. Another gift from Providence was the ‘casual’ meeting at the airport with Archbishop of Panama, José Domingo Ulloa. It was the same day that we all went home, on Tuesday, January 29, thus fulfilling the wish of our president, Fr. Jesus Fernandez, that we could greet him, something really difficult during the days with the Pope. It is clear that for Christ nothing is impossible. 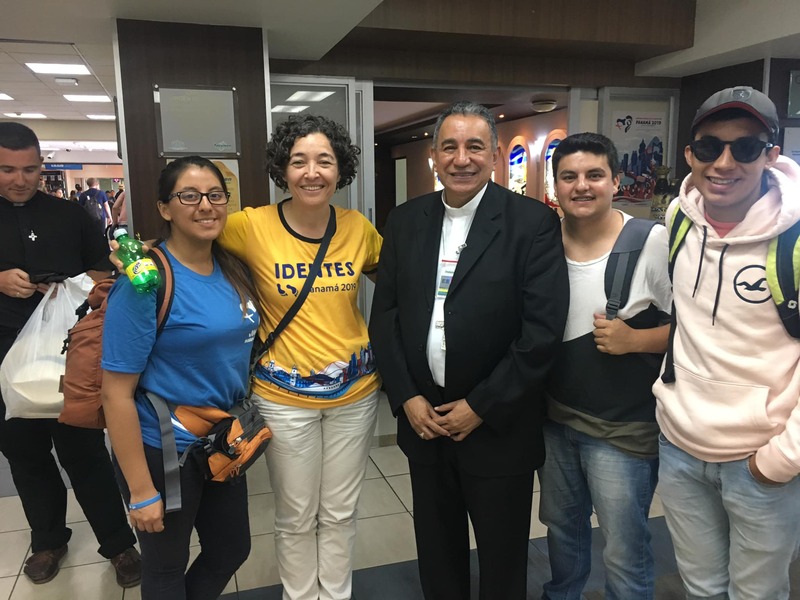 As we approached him, Monsignor Ulloa immediately identified us by the t-shirt we were wearing, with the word “identes” in large, and he transmitted to us the great need that Panamanian university students have for our charism. 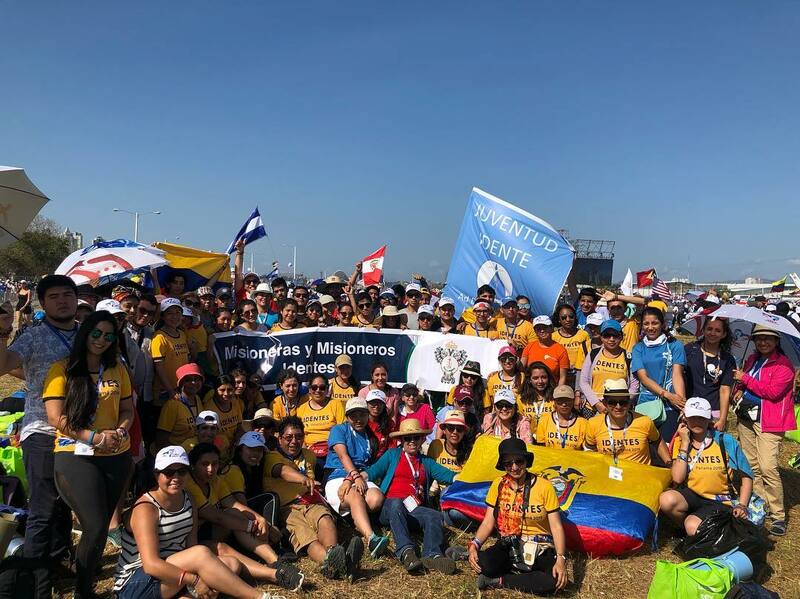 Now in each place the women and men missionaries must be attentive to the young people who participated in WYD so that the fire that shone there does not go out, but, as Pope Francis said, the young people make decisions ‘now’, not for later, and that they say ‘yes’ like Mary to the will of God. 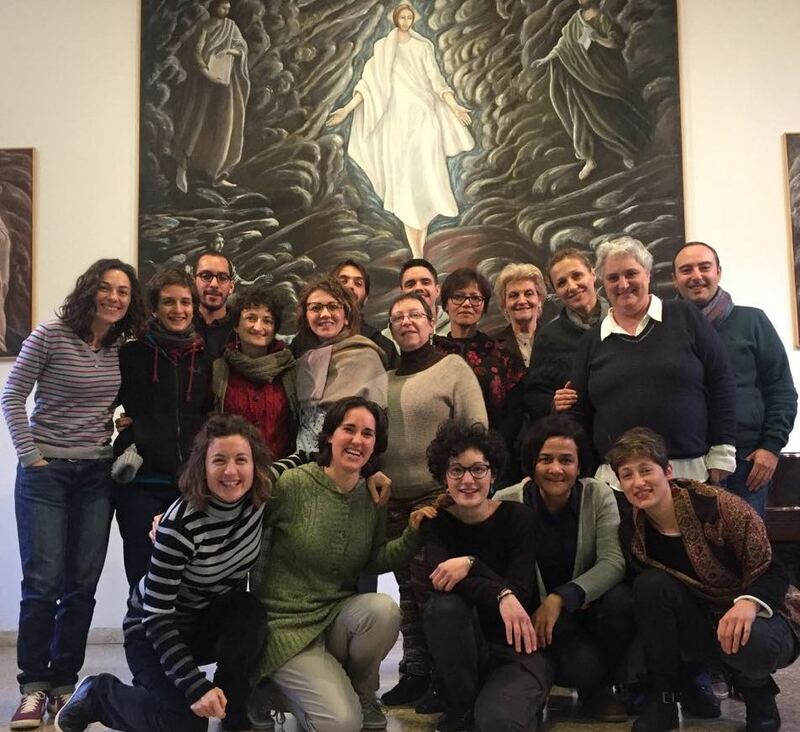 Saturday, October 20th, a Motus Christi took place in Berlin. The topic was parting from the gospel quote “Stay with us, it’s nearly evening (Lk 24:29)” asking ourselves: Do I need a spiritual guidance? Participated quite a few members of the Idente Family but also new students that were interested in the Charism, and especially the before mentioned spirtiual guidance. The prayer time we did for the first in a meditation room of the parrish since the St. Hedwig’s Cathedral where we usually went for prayer, is closed due to renovation. The communions provoked in the participants a spiritual opening as a unique occasion to deepen their relationships with Christ. 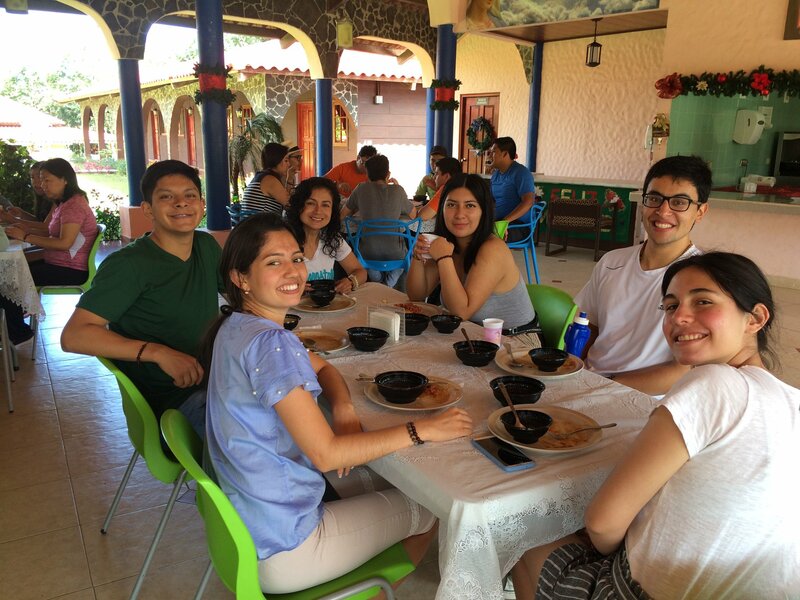 As always, sharing lives during lunch, left in everyone a feeling of a loving family of brothers and sisters what our founder always transmitted to us. The Motus ended with the charismatic touch, in which in different ways the same impression of the vivid presence of Christ in each and everyone, was shared and to live the miracle as an answer of the personal effort of openness to the divine. 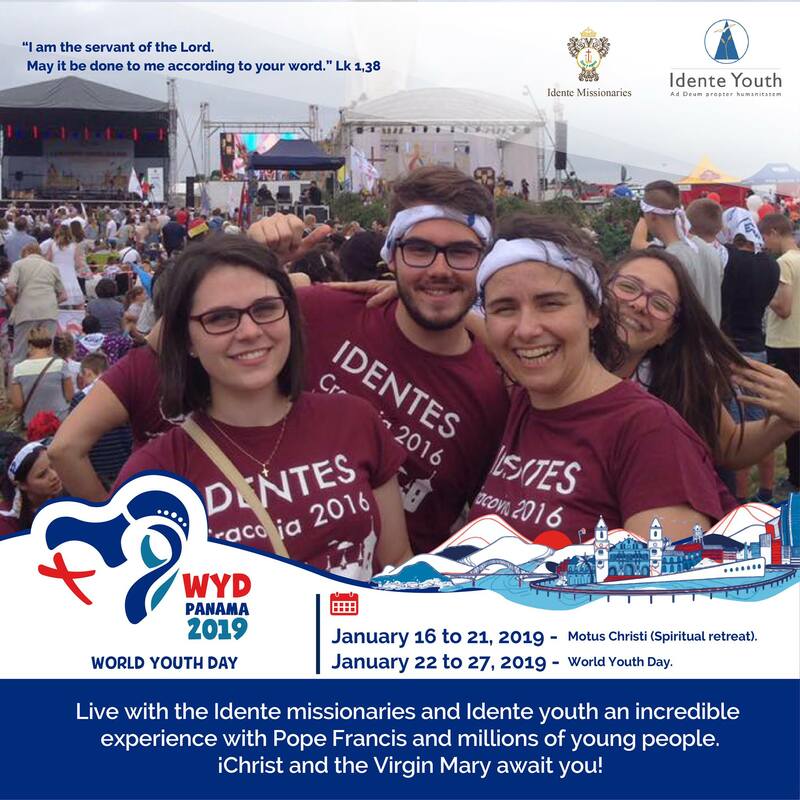 The Idente missionaries and Idente Youth have open registration for all young people who wish to participate with us in the WYD of Panama 2019 (22-27 January 2019) and in the international Motus Christi that will take place the previous days (16 -21 January 2019). 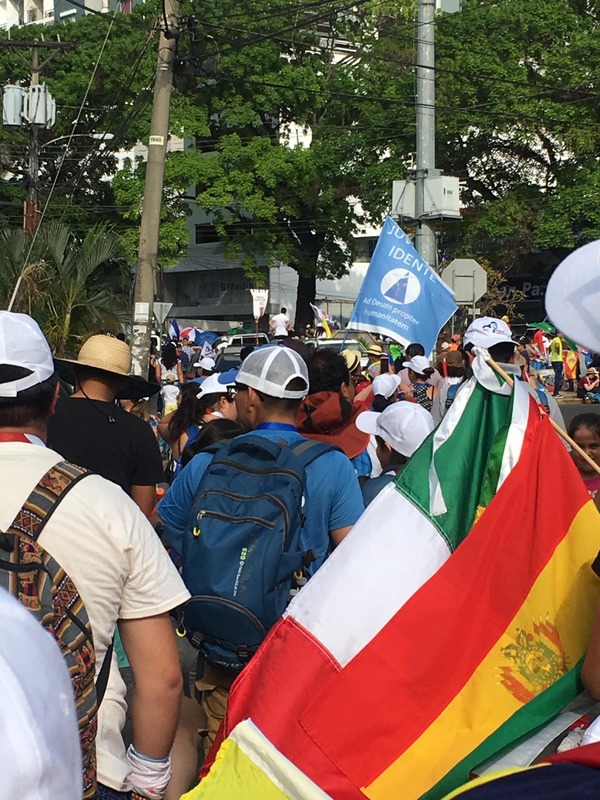 The World Youth Day with Pope Francis in Panama, under the motto of the words of Mary “I am the servant of the Lord, May it be done to me according to your Word” (Lk. 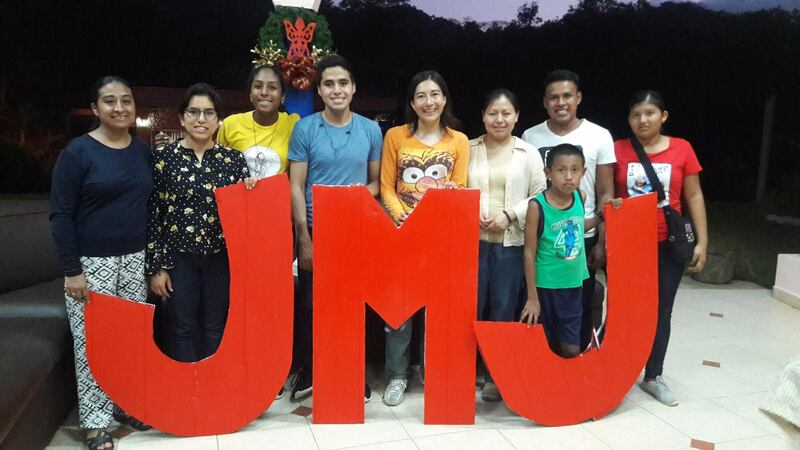 1,38), will be a great Pentecost of the whole universal young Church and the Motus Christi a beautiful opportunity to experience the deep encounter with Christ and to convert our life to the infinite love of the Heavenly Father. 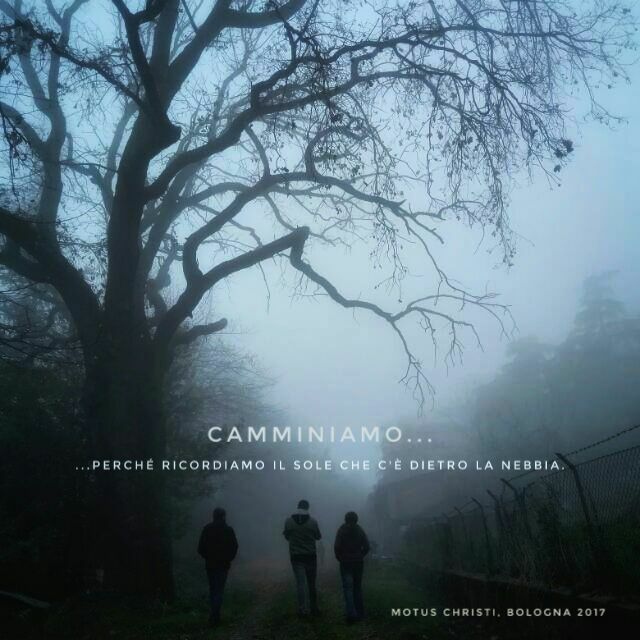 From August 5 to 11, 2018, the new edition of the International Motus Christi will take place in Arpino (Italy), organized every year by Idente missionaries in Italy, as an encounter of spirituality aimed at young people from all over the world. On this occasion, under the usual motto “Let Christ set your life in motion”, we will deepen on the words of Christ: “Be holy, as your Heavenly Father is holy” (Mt, 5, 48) taking as a thread the Last Apostolic Exhortation of Pope Francis “Gaudete et exsultate” on the call to holiness. 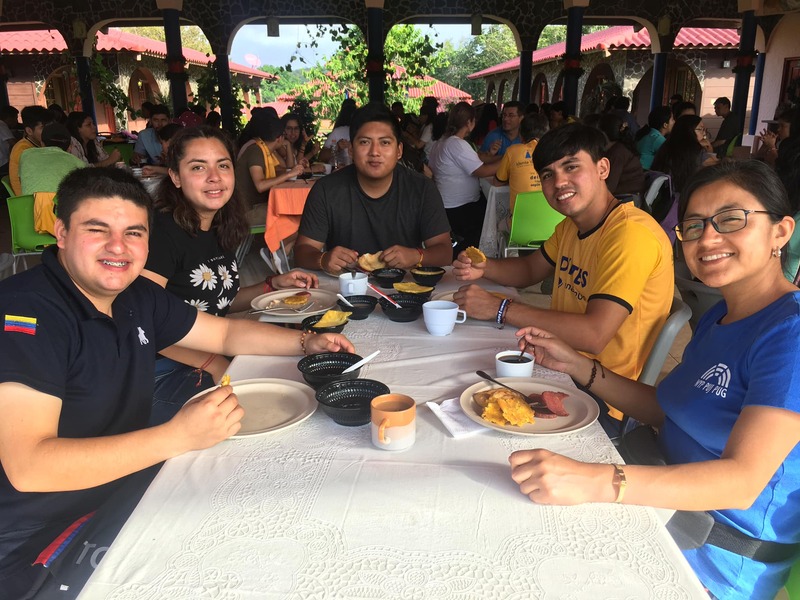 Through talks on the Gospel, community and individual prayer, the Eucharist, reflection in groups, monastic work, family life, the enjoyment of the natural environment and artistic expression, we will enjoy the experience of holiness lived in common. 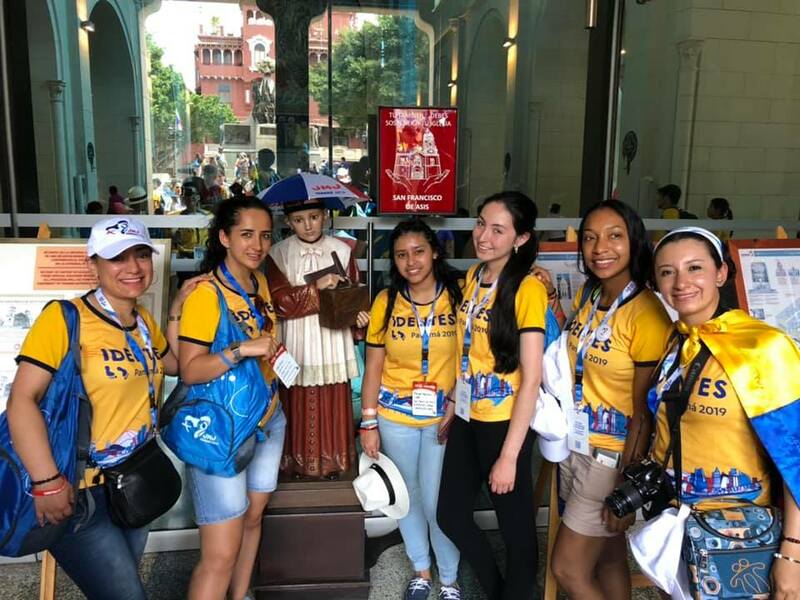 The Motus promotes a true encounter with Jesus Christ, through community life, as a way to the heart of the Father, allowing himself to be transformed by the Holy Spirit, who inspires us that holiness is possible and eliminates the obstacles to saying yes to this call of Christ. 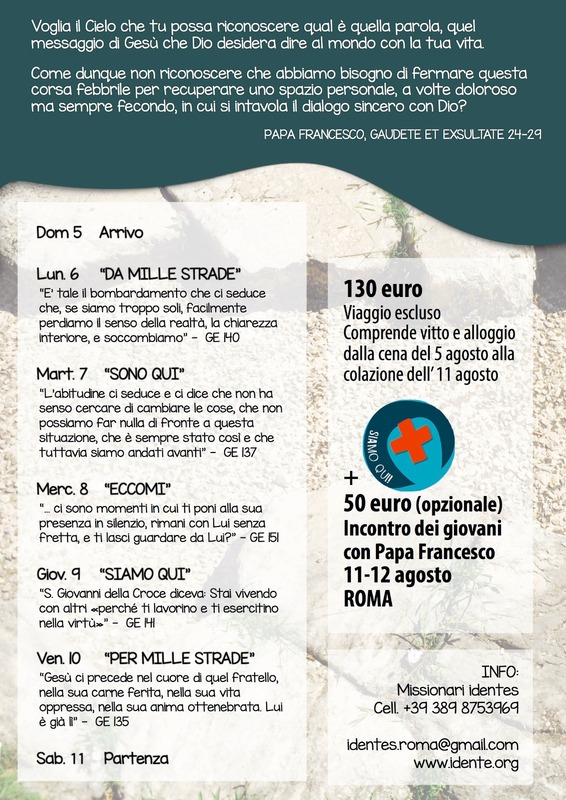 The meeting will take place in the Monastery of San Lorenzo, in Arpino (Frosinone, Italy), directed by the Idente missionaries of the Italian province. An amazing unity. Pentecost Motus Christi, Bad Lautenberg, Alemania. Every year for the weekend of Pentecost takes place a Motus Christi in our center St. Benno in Bad Lauterberg, Germany. 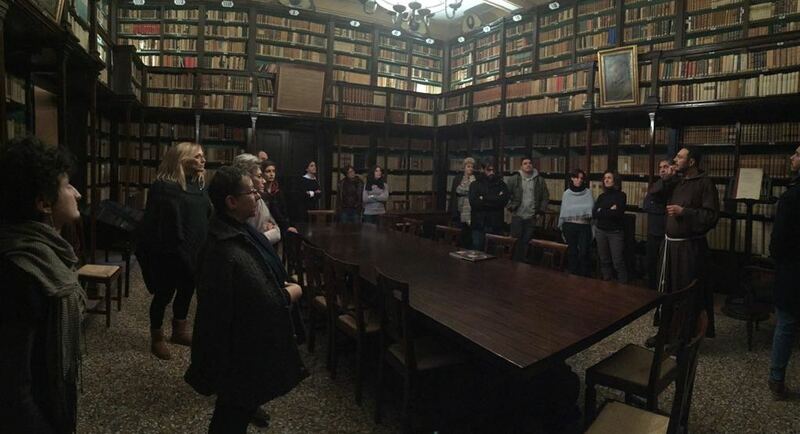 The participants came from Frankfurt Oder and Berlin. For the first time we also had children participants. The topic of the Motus was the sentence from the gospel: I am the way, the truth and the life. No one comes to the father except through me (John 14:6). 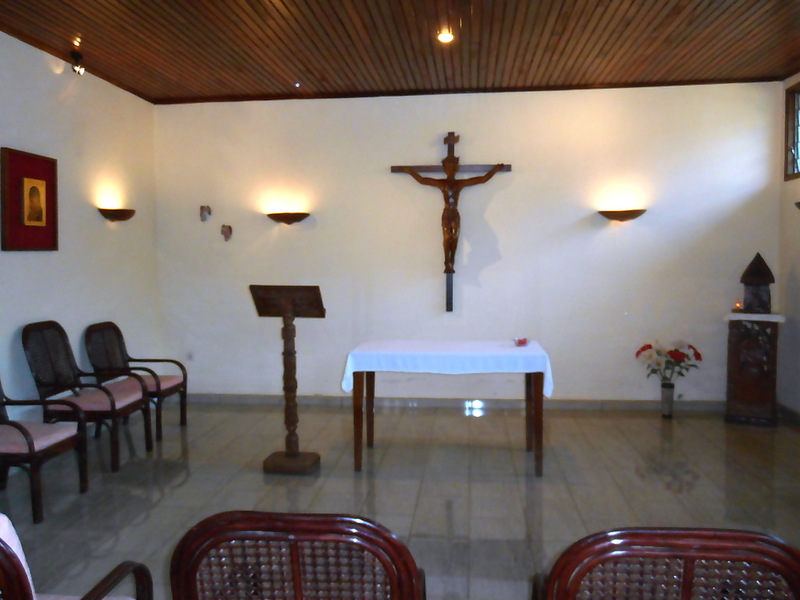 The parish priest of Bad Lauterberg, P. Paul Chodor, had invited us beforehand to actively participate in the mass. 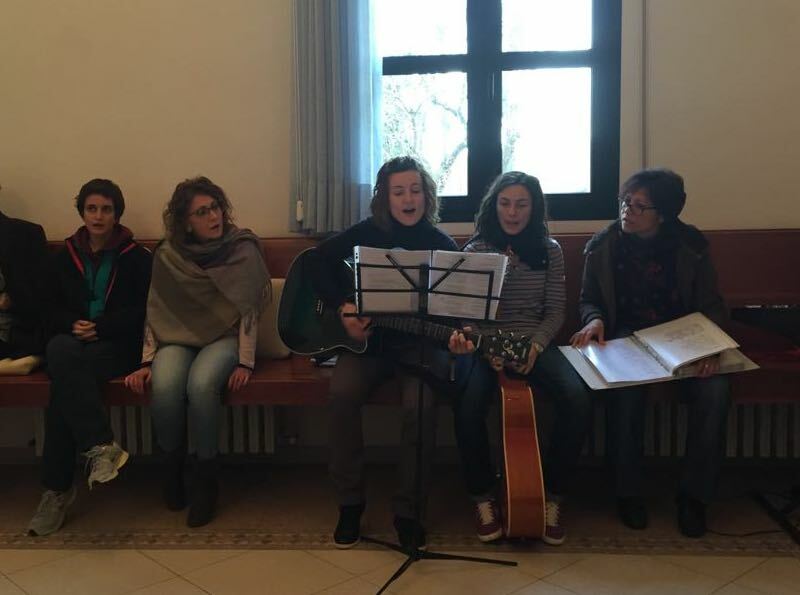 One of our sisters and two girls helped as altar servants; in the moment of the sermon, one sister read the comment of that Sunday’s gospel from our General Superior Luis Casasus, and we prepared and read the petitions and played some songs during communion. 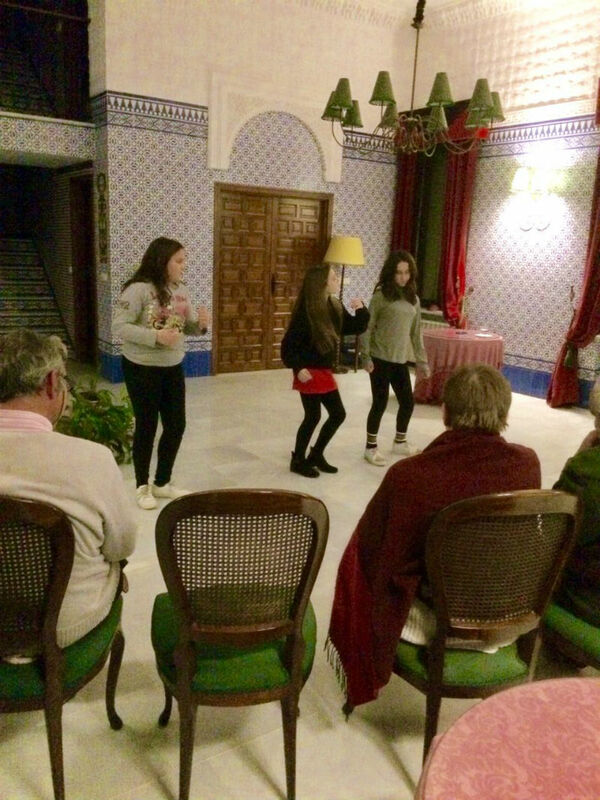 Sunday evening, we had a barbecue that was followed by a small atheneo with dance and poetry. 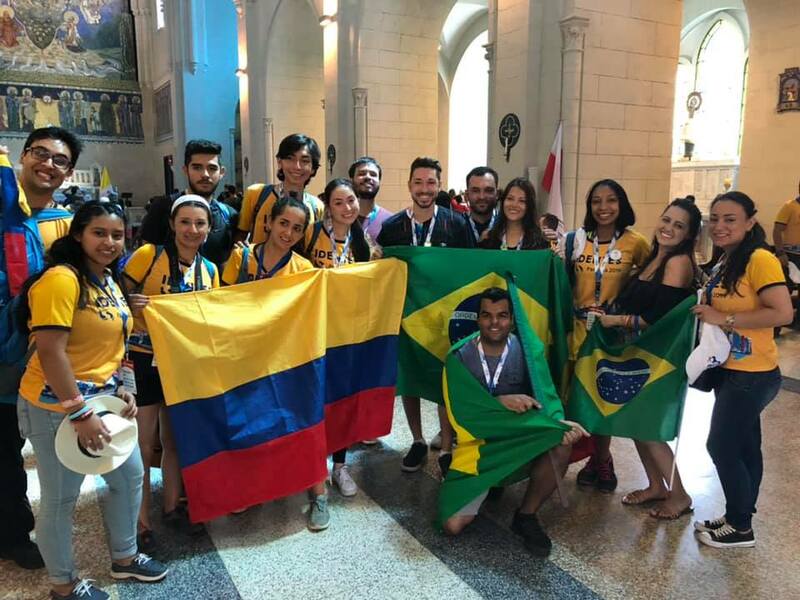 In the charismatic touch some expressed their surprised because of the unity and helpfulness with each other during the weekend. Everyone returned to their home with lots of hope to put into action what they’d heard and lived in these days. 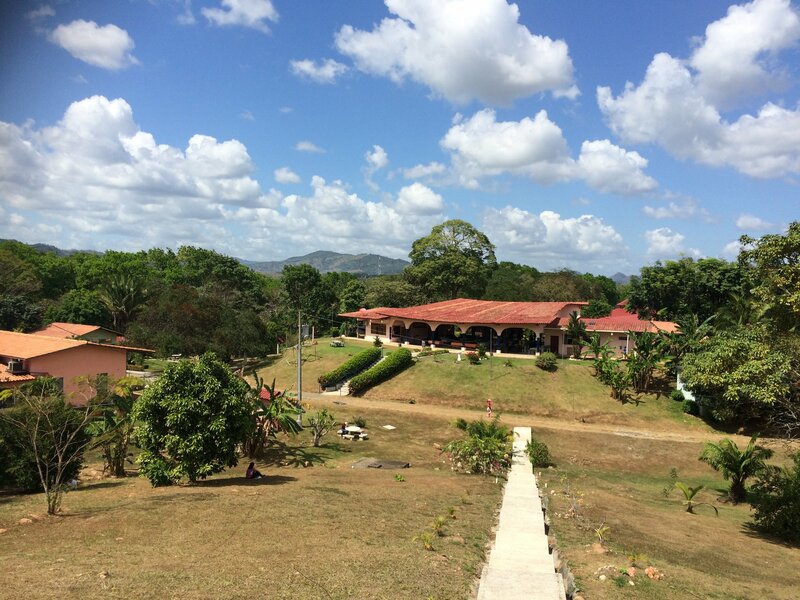 On Easter Monday, 13 teenagers arrived at the residence. 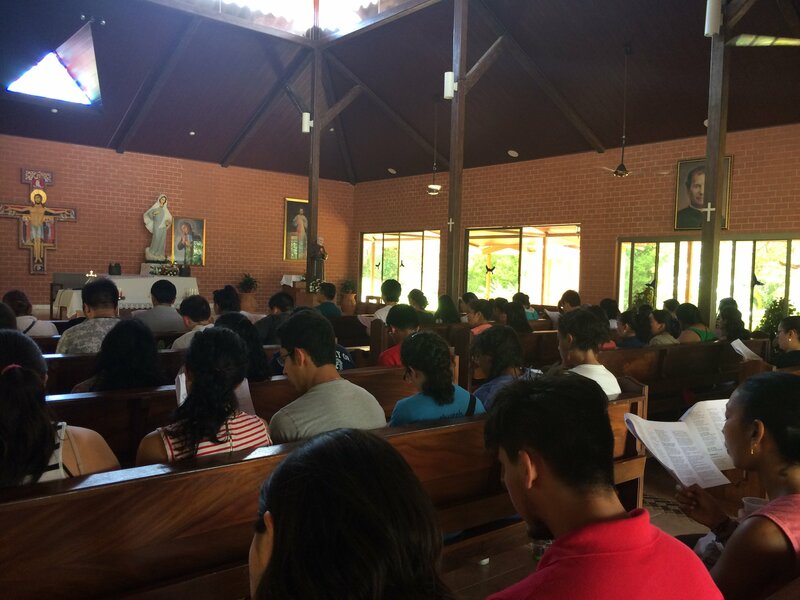 Members of Idente Youth and students of catechesis, lived their first retreat with seriousness and responsibility. They respected “the fast of the telephone” and they had disposition and great opening. We saw the film of St. Paul, receiving the passionate zeal of the Apostle. Moments in the chapel, songs, conviviality and joy, that’s how the Motus Christi ended. Our sister Yvette gave a testimony expressing her gratitude towards those who transmitted their faith to her from childhood. 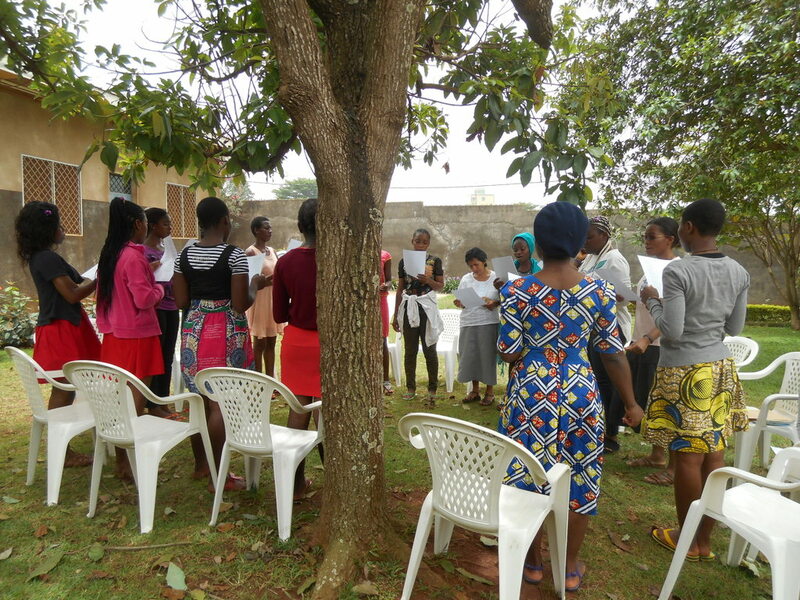 Several girls expressed in the charismatic touch, that they had never spent such a charming moment, feeling as a family and with the ability to approach others without prejudice. 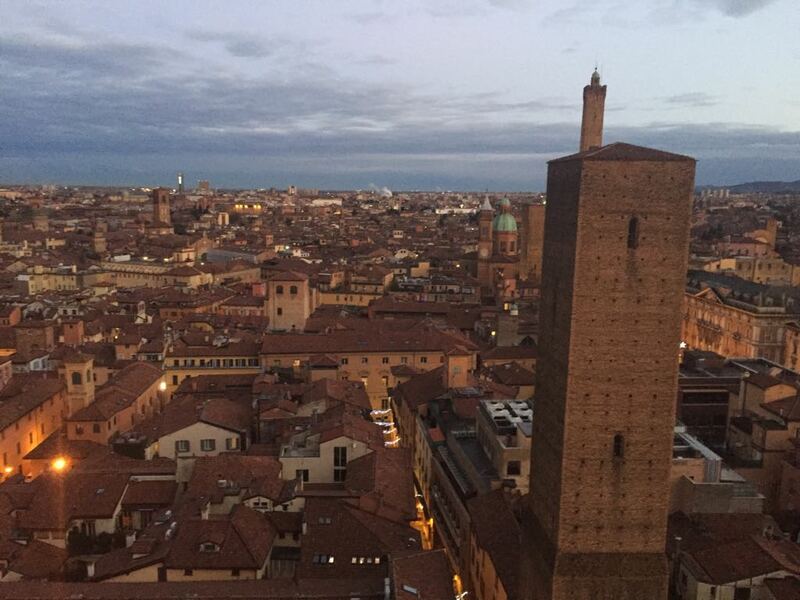 We were struck by their openness to each other, without forming groups. For most it was their first retreat and their desire is to repeat the experience. 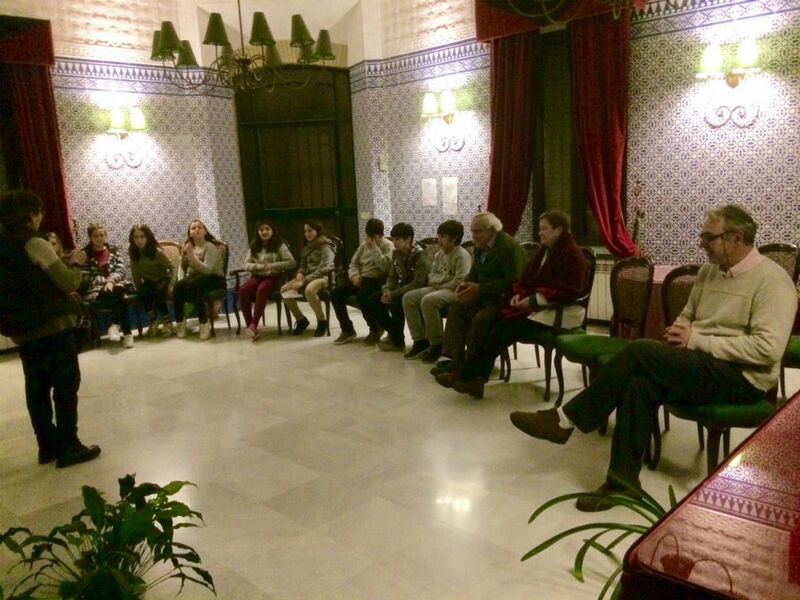 From March 2 to 4, in the monastery of La Victoria de San José, in Constantina (Seville, Spain), a retreat Motus Christi was held for children from 10 to 12 years old, from the parishes of Cádiz and Seville, which have been entrusted to the Idente Missionaries. Two young girls from Cadiz also attended. 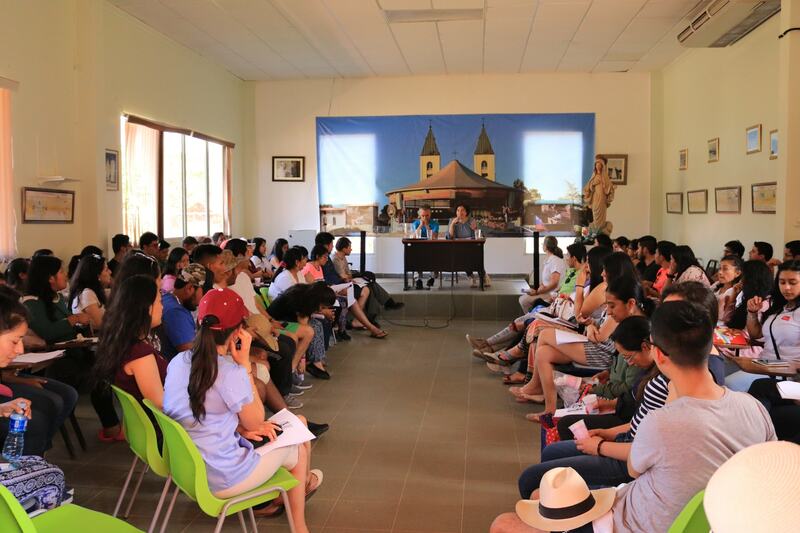 The proposed theme was prayer, being taught by the Delegate of Seville, Isabel Orellana Vilches. The missionary sisters of Cádiz prepared some notebooks that contained on their cover some of the points of the orational code of our father Founder, Fernando Rielo. 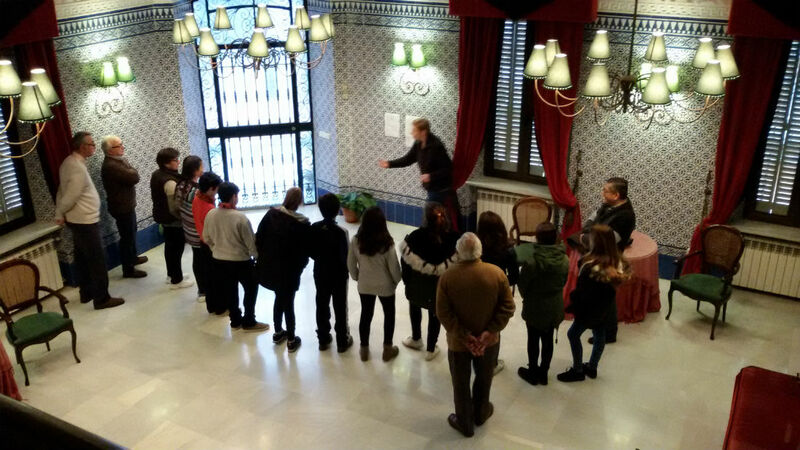 The Delegate of Cádiz, Manoli Blasco Gálvez, has directed several workshops, one of them preparing trisagios, which the group welcomed with special pleasure. 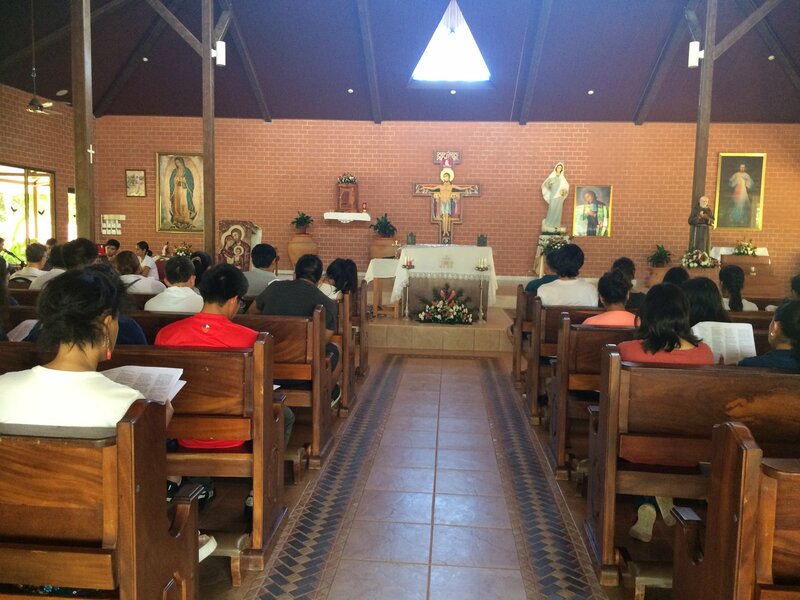 Our brother Juan César Ramírez celebrated the masses and administered the sacrament of penance to the attendees. 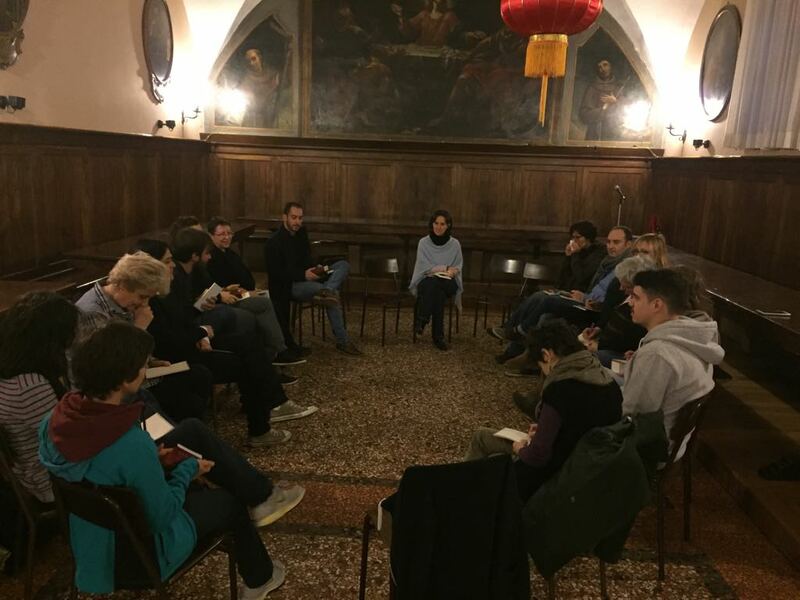 The different moments of the Motus, such as reflections on the Gospel, communities, prayer and the Eucharist, were combined with games that familiarized them with the Gospel and with the preparation for the artistic Athenaeum. 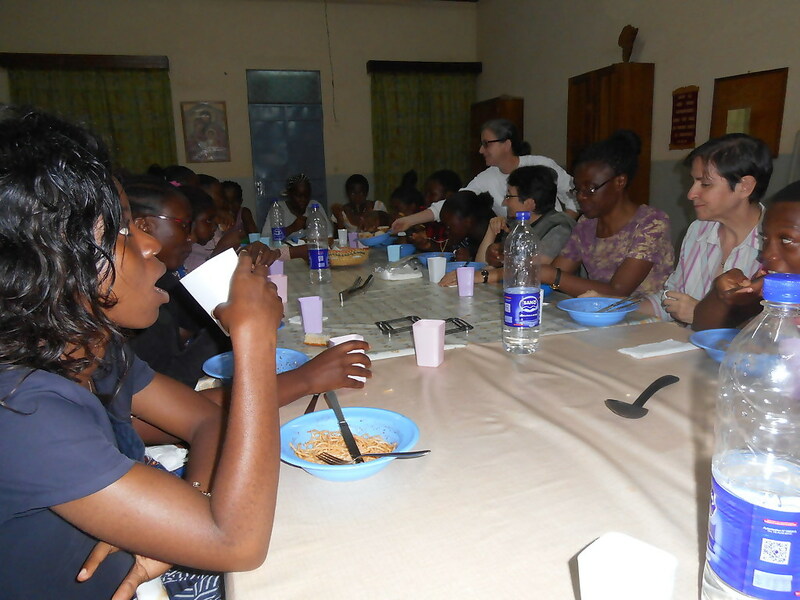 All this has been a great opportunity to live together with the missionary community that lives in the monastery. There always reigned a very beautiful family atmosphere, in which all have shared the monastic tasks with charity and responsibility. 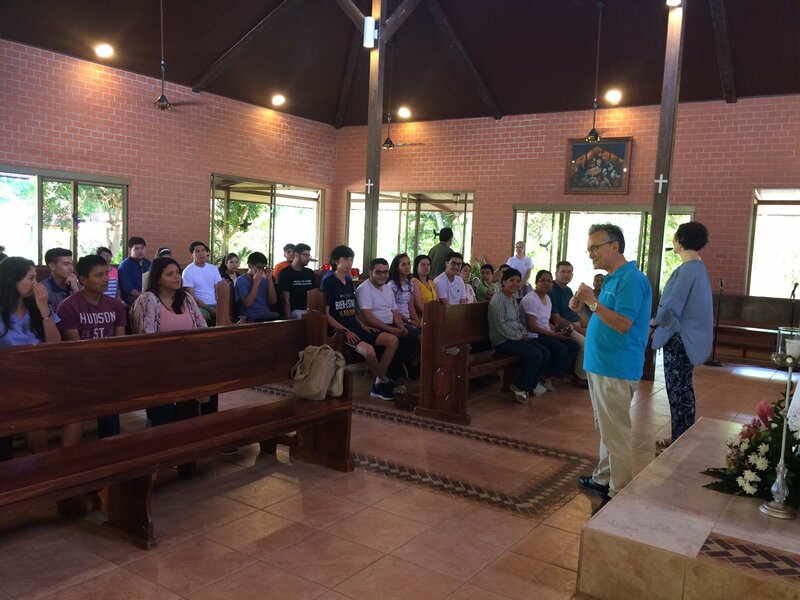 Everyone has gone to their places of origin, taking with them a feeling of gratitude for the experience they have had for the first time of participating in this religious activity, which has allowed them to recognize Christ inside of them, and has inspired them a longing for a deeper living of prayer from now on, that will help them to grow humanly and spiritually. That is the desire they have expressed at the end of the retreat. “Venid a mí todos los que estáis cansados y agobiados, y yo os aliviaré. 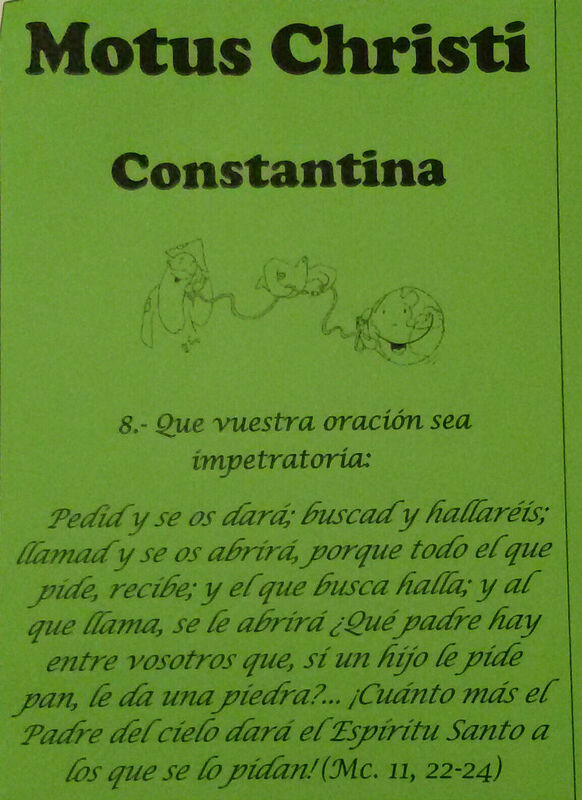 Tomad mi yugo sobre vosotros y aprended de mí, que soy manso y humilde de corazón; y encontraréis descanso para vuestras almas” (Mt 11, 28-30). Un saludo delante de Cristo, la lectura del paso del Evangelio antes citado y algunos minutos de silencio: así comenzó el Motus Christi en Bolonia para jóvenes del norte de Italia que se realizó del 24 al 26 de noviembre. El tema central del retiro fue “Mirar la tierra desde el cielo”. Y así fue. 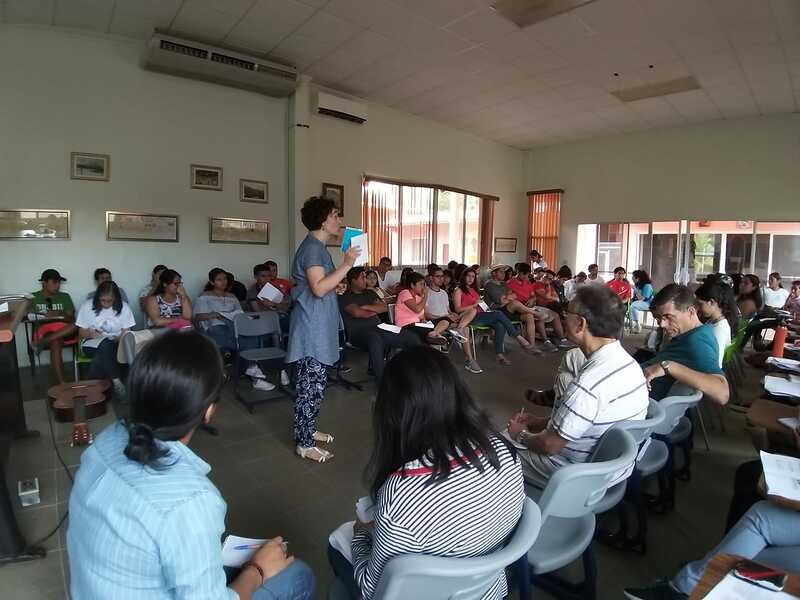 En estos dos días de convivencia en los que “más de dos estábamos reunidos en el nombre de Cristo”, nos sentimos verdaderos habitantes del cielo. “Este cielo es mi casa y no quiero irme de aquí nunca más”, decía una joven al terminar el encuentro. Entre meditaciones, momentos de oración, de convivencia y artísticos, fueron días en los que cada uno se abandonó completamente a Cristo para encontrar, a pesar de sufrimientos y ocupaciones, la paz y el descanso que el Padre, Cristo y el Espíritu Santo nos quieren dar. Otra joven decía “llegué con mi vida en alta turbia, llena de algas, hierbas y muchísimas cosas más. Con Cristo se ha convertido en un mar tranquillo en el cual navegar: este ha sido mi Motus Christi”. 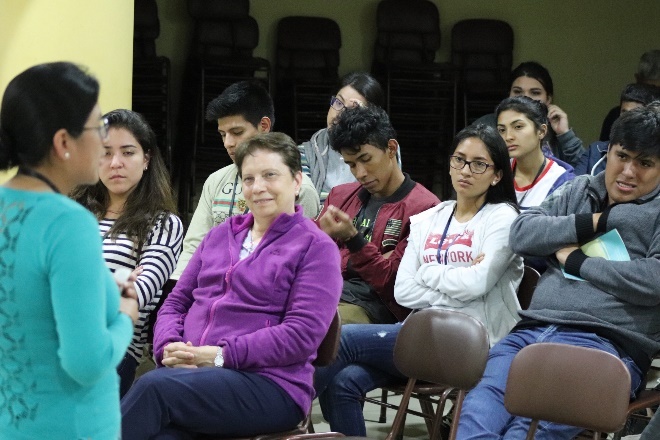 Un encuentro lleno de sinceridad juvenil que grita a Cristo, como se decía en la conferencia final: “te amo con todo mi ser. Heme aquí, con todas mis debilidades. Pero te amo, Tú lo sabes”. 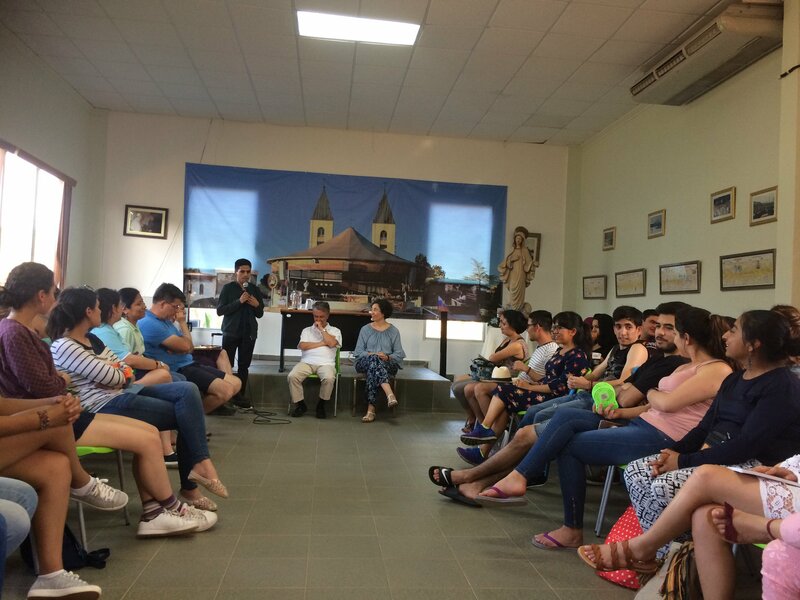 El encuentro, al que participaron jóvenes provenientes de Turín y de Bolonia se realizó en el convento de la Observancia, situado en un monte que está a poquísimos minutos del centro de la ciudad, para encontrar el alivio y descanso verdaderos que solo Cristo puede dar. La observancia es un convento del Orden franciscano de los Frailes Menores que fue de gran importancia en el siglo XV, por el que pasaron San Bernardino de Siena, San Antonio de Padua, San Juan de Capistrano y muchos otros.